This was a long week for some reason. The kids are starting to lose it and the ABC Countdown is not helping... although they tend to shape up when I suggest that we just skip the ABC Countdown celebration for that specific day. Sigh. 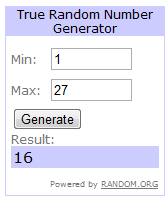 I have a winner for the Teacher Tipster giveaway! Congratulations to Alyce!! I'll get in touch with you soon. :) And you all should check out her blog, too! She teaches at an ag/tech charter school and they have a farm there! Sooo interesting! I always roll my eyes when other bloggers say this buuuuut I really wish I had a DVD for everyone who entered! Your stories about the Teacher Tipster made me so happy and I was just tickled by all of the comments. Also I have never use the word "tickled" in a sentence like that before! Haha! Tomorrow I am heading back to school in the morning because it is time for my second graders' First Reconciliation. We have been prepping and practicing and talking about sinning and forgiveness a lot. I hope they don't get scared and I hope they can remember what to do! Also on Sunday I am going to a bridal shower! I am SUPER PUMPED! I love showers and I have the cutest gift! I will show you on Sunday afterwards... I don't think the bride reads my blog but you never know! I do post my posts on facebook and we are friends! Hopefully I'll post again this weekend. I have an idea for a freebie I want to make on landforms. Anyone else doing geography/maps/landforms right now? My first graders are a little frisky this week. We have testing next week! I know they will come through. I have some little surprises to keep them pumped up and motivated. I am your newest follower. Stop by and visit sometime. I have been reading blogs this whole school year and have wanted to enter giveaways, but I had no blog. One of the reasons to start a blog was to enter and the other is because it looked like the bloggers were having a lot of fun and I wanted to join the party. Thanks again for the DVD, I can hardly wait to watch it!